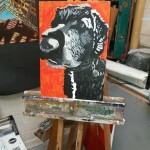 My fourteen year old son recently painted a picture of our dog Rufus, as part of a school art project. It has been really enlightening to watch him work and listen to his comments on the process. I used to enjoy art at school, but would always rush and take short cuts. He has been happy to carefully and patiently apply a few brush strokes and then leave his painting to return to at a later date. 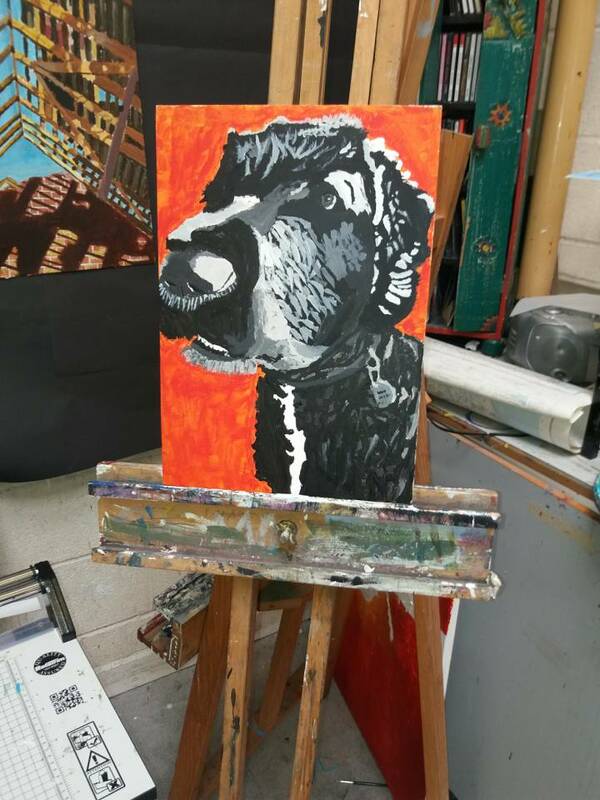 One session, as his picture was taking form, he said, “I’ve decided to paint what I see instead of trying to paint a dog.” The result (in my opinion as a proud dad) really captures the spirit of Rufus. In the same way that he was removing his preconceptions and looking carefully at his subject in order to find the spirit of his painting; as bathers, bobbers, gliders or floaters, we can remove our preconceptions about swimming strokes and discover the spirit of what it feels like to just to be in the water. This entry was posted in Uncategorized on June 12, 2018 by swimwithease.